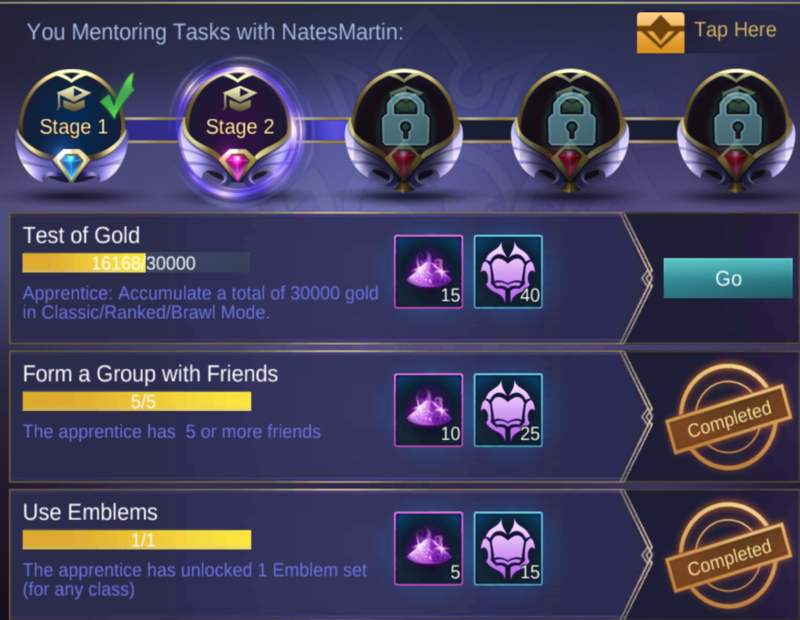 Mentorship System - News - Mobile Legends: Bang Bang - Powered by Discuz! This system was introduced a few seasons back wherein its aim and purpose was to help newer players adapt to the game with much ease with the help of veteran/older players but sadly this system is not used by many due to various reasons so allow us to enlighten you guys what the Mentorship system is all about. 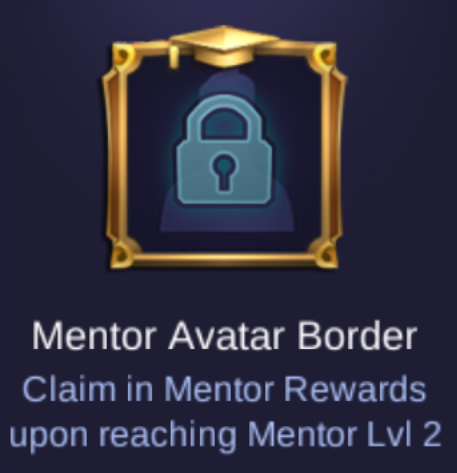 The mentorship system is actually a system that rewards both veteran and new players with rich rewards for helping one another to grow around the game wherein veteran players get numerous rewards from an exclusive skin to an exclusive border provided they reach a certain level in the mentorship system. This also works both ways for the mentee wherein they are also rewarded with various rewards that will help them grow around the game and be able to buy heroes or unlock emblems they want faster with the supplimentary rewards. The mentorship also uses a quest system in order for both the Mentor and Mentee to progress. Unlike the current quest systems we have(such as the daily activities/quest) the Mentorship system uses a one time quest system wherein players can immediately finish thru these quest in one sitting or whenever they want so long as they meet the requirements for each quests. Using the mentorship also allows you to unlock exclusive rewards which can only be obtained thru this system as well as getting known for being able to mentor players since getting these rewards would require you to mentor quite a handful of players.